I'm on a thrifting break. Until I price and stock all the thrifted bits in boxes infiltrating my closets, I can't hit up the thrift store for goodies (Even if it's painful). Yet Thrift Haul posts will live on until the next thrift trip, because there's plenty of thrifted bits around the house that I haven't fully captured yet! I found the small framed Chinese Dragon artwork above while hunting last weekend. The combination of colors work so well, it even looks nice against this green wall. I paid $5 for it and it's about 3 inches tall. 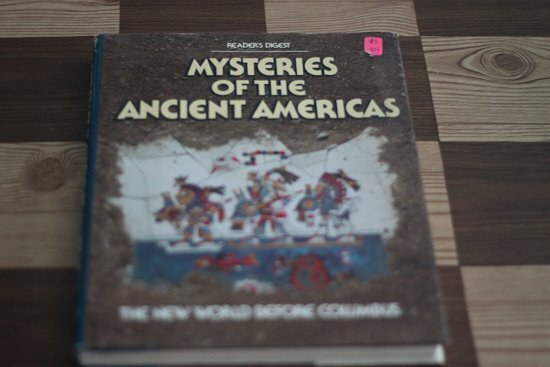 I've had good luck finding art history books lately for some reason, too. I have a decent collect of them right now, all from flea markets and yard sales. I'm always hunting for art while thrifting, and it's hard for me to resist little pieces of art while thrifting. 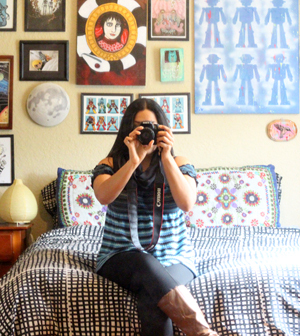 To keep my drawers and closets from being cluttered with too many small pieces, I always hang them or frame them immediately after I bring them home! I must take a leaf out of your book and find a place for home stuff straight away - I am so guilty of leaving things dumped on the first available surface for ages. I'm pretty good about clothes though, and usually get them washed/dry cleaned/altered pretty promptly. Just posted on latest clothing finds. Also, I keep coming across things I think other bloggers would like, so am buying those as well. I have been fortunate in that various people have sent me things too - so that stops me needing to go thrifting for a few days! I went to the Hester St Fair in NYC this weekend and although I didn't buy secondhand, I bought handmade! - seeds and soil for cat grass for my kitty! I love that whale! I went to Brimfield, MA for the BIG ONE and brought home too much to mention - but some super cute pyrex made it's way into my house. I love that whale! It reminds me of the suncatchers my Gram had hanging in her windows when I was a kid. (She lives at the Jersey Shore, so a lot of her decor was nautical themed). Jessica: That panther ring sounds amazing! Feathermar and Alison: I love the whale too, I'm going to use it as inspiration for some artwork. And "suncatcher", ah ha, that's what it's called! I take a break once in awhile its kind of nice really. Its definitely looking with fresh eyes when you go back! 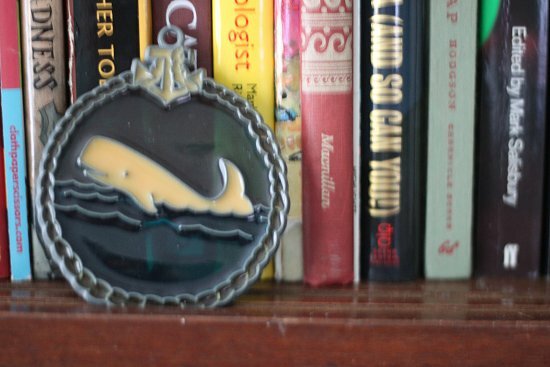 Love your whale, I thought it was necklace! Is it small enough to be?? Van - I love that whale! So precious. That Dragon art is very cool. You've got great taste. Oh man, I'm jealous of the Chinese print - it's not a dragon, but probably a demon. Such a great find, and not something I'd ever expect to find. My finds are posted on my blog, but I got a piece of Nemadji pottery (absolutely stunning, it takes a lot for me to buy things just for display, maybe I'll put a plant in it?) and some prints of a comet from 1996. Random. Just the way it should be. great finds! yes i did a bit of thrifting! found a great lamp that i hope to post next week! I try to do in/out with thrifted stuff, but there is always about 10% that stays - its either 'too good' or 'can't figure out the correct price' or something that makes 'it' stay awhile longer. Problem is that the boxes fill up and stack up and fill up space. I am getting better with the fresh trifted but its the backlog of previous thrifted that overwhelms. Natalie: It does look a bit like a Japanese oni design, doesn't it? I like it either way! A Vintage Green: I've been bad letting things accumulate a bit, I must get rid of the boxes of clutter BEFORE I hunt for more stuff! I'm having to take a break from thrifting too as I need to de-clutter and am on a budget. Kind of sad as the summer is the best time for vintage! 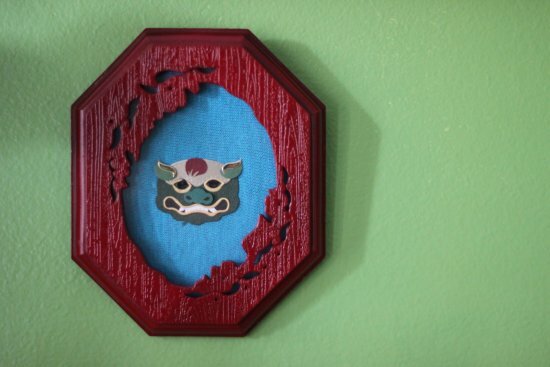 The little Chinese piece fits in perfectly with your decor, the colours work well with your wall. You should see the stuff I've got! It's scary! (not Hoarders scary...) I really need to make some sort of plan? I can't stop op-shopping it's an addiction! What's a girl to do?? ?